I’ve been working on my all-time stats today: what a wonderful way to spend an afternoon! As long-time game fans know I’ve been playing a Champions of the Galaxy federation continuously since 1988. That’s 860 fight cards and over 7,000 total matches! Tag-Team: ULTRA MANTIS (UltraMantis Black and Mantis). It’s cool to see the Chikara wrestler make good in the future! Interplanetary: BALAAL. This guy has been fantastic since he entered in 2127. Heavyweight Belt – Longest Title Reign: Monolith and Matador of M83 (tied with 43). Harbinger is currently at 39. What will Monolith have to say about it? Harbinger is tied with Thunder (39) followed by Chaos (31). Tag Team – Longest Title Reign: TitanPower (Lord Nexus and Billy Jo Boxer) had the most exciting title reign of all time (54)! They are followed by Brute and Massacre (53), Rebel Empire (50), Mercenaries (42), and Brute and Massacre again (39). 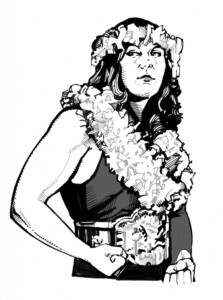 Interplanetary – Longest Title Reign: Vengeance entered the GWF with (ahem) a vengeance and held for 62 cards! The modern version of Thantos is next at 46 (and he wants it again! ), Lance At-Last (39), Draconian Shiek (36), and Murdok (35). Balaal is currently at 26 and fighting to enter the hallowed list. Who has had the most title reigns? Heavyweight: Chaos, Star Warrior, and Wolf each held 4 times. Tag-Team: Brute, Massacre, and Overkill each held 4 times. Interplanetary: Many people are tied with 2. 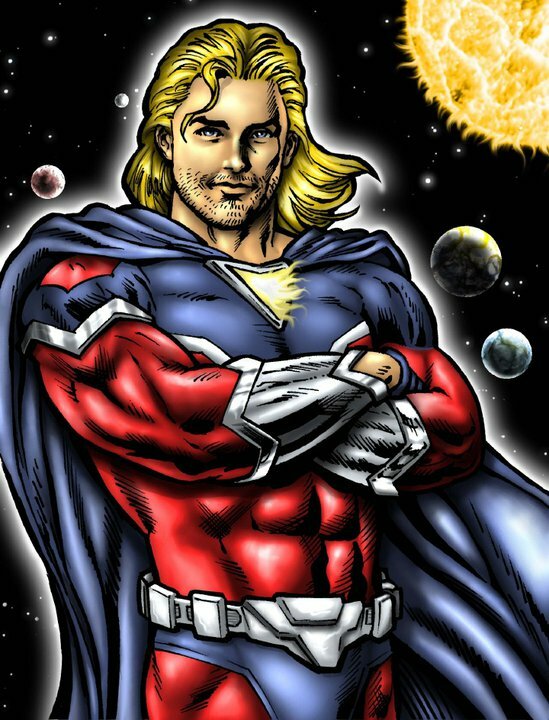 Most Title Reigns including all belts: Star Warrior is tops with 7 (he won the tag belts with Thantos a couple times in addition to singles belts) and Thunder has a total of 5. I’ve had a blast for nearly 25 years playing my CotG fed and I can’t wait to reach card #1,000. I figure that’ll be in three or four years. So there it is. I hope YOUR fed is as exciting as mine, it’s what the game is all about! Claudio Castagnoli is Set to Challenge the Legends! International competitor Claudio Castagnoli is making a bold move by coming to LEGENDS 12. He’s already battled the best on the Legends of the Future and Chikara circuits (where he has two playing cards) and now he’s gunning for the top in the LEGENDS game! How will Claudio compete with the likes of Bryan Danielson and Giant Bernard, to say nothing of Rob Van Dam and Harley Race? Can Claudio add LWF gold to his already impressive title history? Find out when LEGENDS 12 is released on December 12! Pit Viper and the Executioner are Coming in December! 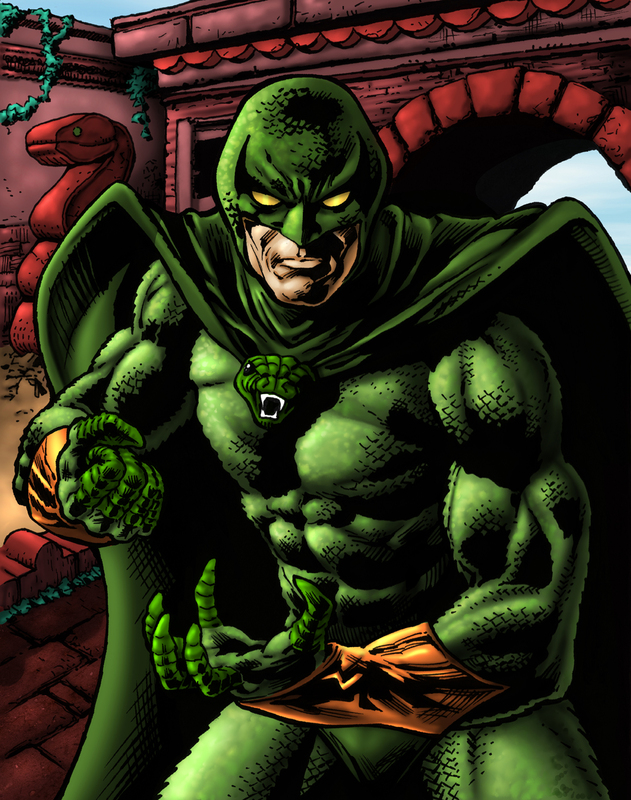 Lord Nexus is about to get a partner on the original Titan team and it’s none other than PIT VIPER! PIT VIPER is one of six playing cards that will be released in the CotG ORIGINALS 6-PACK #3 coming on December 12. It’s the latest of the on-going re-release of all 24 playing cards in the first CotG game edition originally released in 1987! PIT VIPER will be joined by Massif, Killer Queen, Death Knight, Vanity, and the Executioner. The original Champions of the Galaxy game edition is coming to full color and it’s a great event for loyal game fans! Watch for updates to pre-order CotG ORIGINALS 6-PACK #3! The holidays are here…and so are the greatest games! Our new web site is up and running and the timing is perfect! We’ve got incredible holiday game releases so strap in while I tell you about them! First there’s the CHIKARA TECNICOS 6-Pack which is already available. The new set features DA SOUL TOUCHAZ and they’ll add some spice to your Chikara fed! The card art by Werner Mueck is some of the best he’s ever done. Coming on Nov 29 is our BIG new release: the RING OF HONOR Intro Set featuring 26 wrestlers along with an awesome handbook which features bios along with special match stipulations that you’ll love! You won’t want to miss your chance to start an incredible Ring of Honor fed or even have a federation war pitting Ring of Honor vs Chikara! I met Kevin Steen at Synergy (combined ROH and Chikara show) in Chicago last spring and he wrestled some great matches. Kevin is pictured along with me in the accompanying photo and we’re both psyched for the ROH game! That’s not all! Coming Dec 12 will see the release of the CHAMPIONS OF THE GALAXY ORIGINALS 6-Pack #3 featuring game legends from the first edition like Massif, Killer Queen, and Vanity. The card art by Darryl Banks makes these remakes a must have! 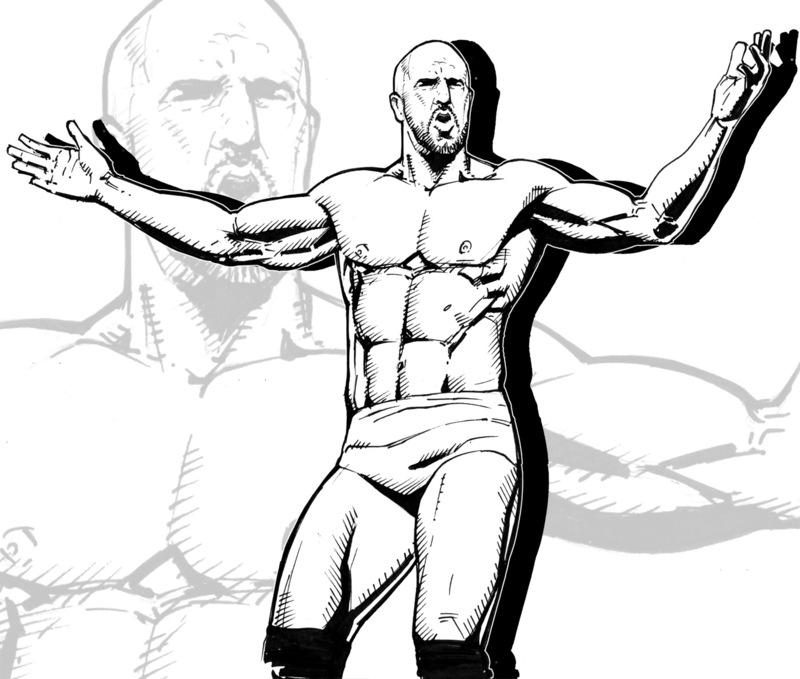 To top it off will be LEGENDS 12, the latest installment in our Legends of Wrestling Game series. Several names have already been announced like BLACKJACK MULLIGAN and WARLORD! Check the Legends page at this web site for more signings. Not to be outdone, Legends artist Steve Stanley pulls off another stellar performance. The end result of this plenitude of riches is to prepare your feds for more action and if you haven’t started playing our games yet what a great time to start! After 25 years of success Filsinger Games madness is growing more than ever! Ring of Honor Game Ready to Pre-Order! Wrestling’s most anticipated new game is ready to pre-order! 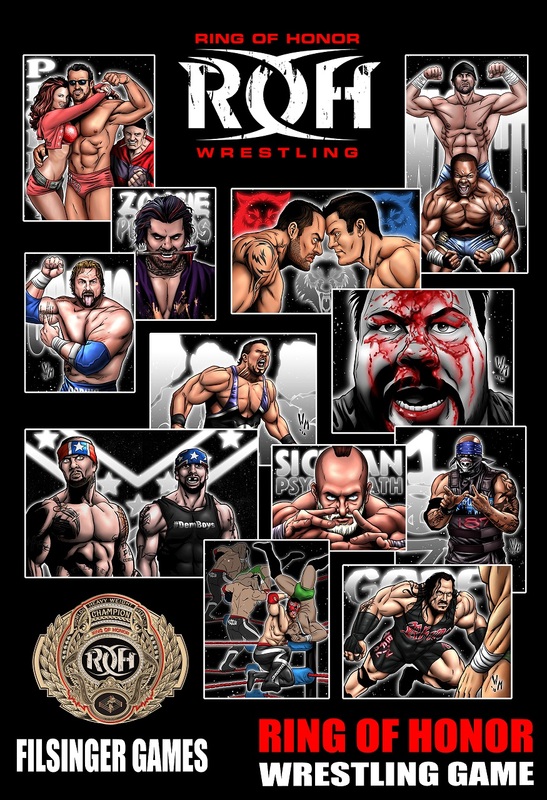 The Ring of Honor Intro Set will begin mailing on Nov 29 and YOU can be among the FIRST to receive it by pre-ordering right away! Don’t hesitate, there will be high demand and we’ll be mailing out in the order that we receive pre-orders! Go here to pre-order or go to our original online store by going here. You can order the intro set that comes with charts, dice, instructions, etc (everything you need to play) or if you already have our game charts and stuff you can just order the Ring of Honor Cards and Handbook. We aim to please! 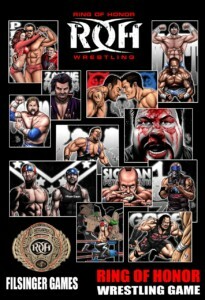 We also posted the ROH handbook cover for you to see! Hope you love it as much as we do! Get psyched: the time is nigh for you to start your very own ROH fed as the main booker! Start planning your first major events because it’s not far away! You Spoke, We Listened! Jim Powers Joins Legends! By popular demand, Jim Powers will be joining the ranks in LEGENDS 12! Powers has competed in nationaL and independent leagues since the mid 80s, and wants to make his mark in the LWF. A tag team specialist, Powers may be teaming with former partner Jim Brunzell to battle old foes like Nikolai Volkoff and Boris Zhukov. 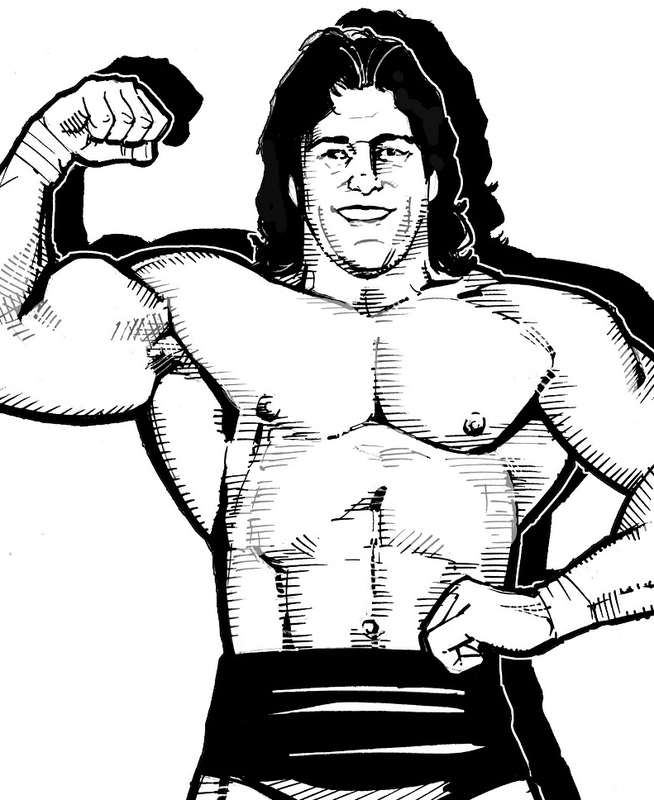 His future is up to you, promoter, when LEGENDS 12 is released in December 2012 by Filsinger Games! A former women’s World singles and tag team champion, Lelani Kai, is coming to turn the Legend’s women’s division on it’s ear! Kai has held championships on multiple continents and is looking to add a LWF championship to her resume. Will she target the singles title, or does she have tag gold on her mind? Will she reunite with her former manager, Jimmy Hart, or will she be bringing another former associate with her? You’ll find out in December, when LEGENDS 12 is released by Filsinger Games! Our Cool New Web Site is Here! Well, it’s been a long time in the making, but our “new look” web site is here and I think it’s awesome! I hope you’ll love the new look and easy navigation. I’m very excited about the “brand” approach where you can look at our major games like Champions of the Galaxy, Legends of Wrestling Card Game, Ring of Honor, and Chikara without having to search deep in the web site to find them. Another neat feature is that the home pages for the major game brands also include the latest breaking news stories so you don’t have to go to another page to find news stories. And all the latest Filsinger Games news stories (for all our games) are featured on the main home page! Cool. As a special bonus to celebrate the “grand opening” of the new site is a new video interview where I discuss BLACK DEATH 2128 and share unpublished card art by Darryl Banks, all from the back upper deck of my home, and I even manage to not fall off! The new web page comes at an exciting and dramatic time in Filsinger Games history as we have several major releases in November and December. We’re growing by leaps and bounds so look out! More good news: The “new look” web site is a work in progress. We’ll be making improvements and adding stuff (especially to the online store) in the days and weeks ahead. The online store is still not finished (we have SO MUCH STUFF!). But have no fear: the store link at the top of every page allows you to go to the old store until we’re finished. We’ll also be adding some of our older “news” stories in archive format so you can read them over and over and memorize them to impress friends and family! If you see anything else we missed let us know! Our goal is to please you, to make you love our web site, love our games…in fact enjoy everything about your experience with Filsinger Games! Many thanks to Jonathan Bell and Paul Schermerhorn for all their work on this project. They are heroes both! Tell everyone you know (especially game fans and wrestling fans) to visit our web site and start playing our games. They’ll love them…we’re taking over! OLE! El Generico to Bring Brainbustaaah to ROH Game! The ROH Wrestling Game, featuring a 26 card Introductory Box Set is due for release at the end of November, just in time for the holiday season, and EL GENERICO is crashing the party with BRAINBUSTAAAHHH!!! 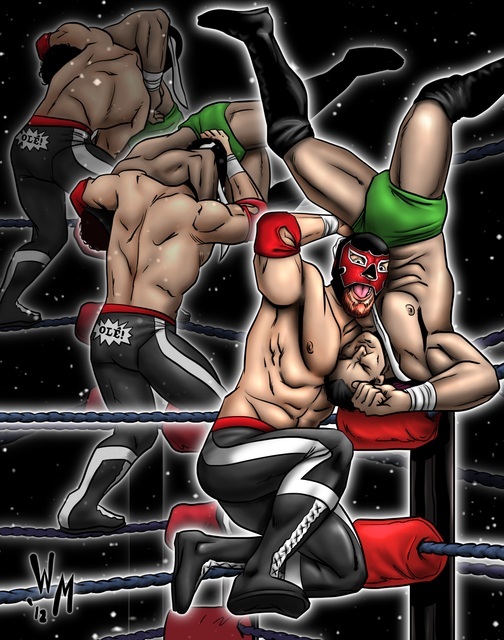 It’s a tough finisher to pull off, but when EL GENERICO hits it, it means lights out for his opponent! 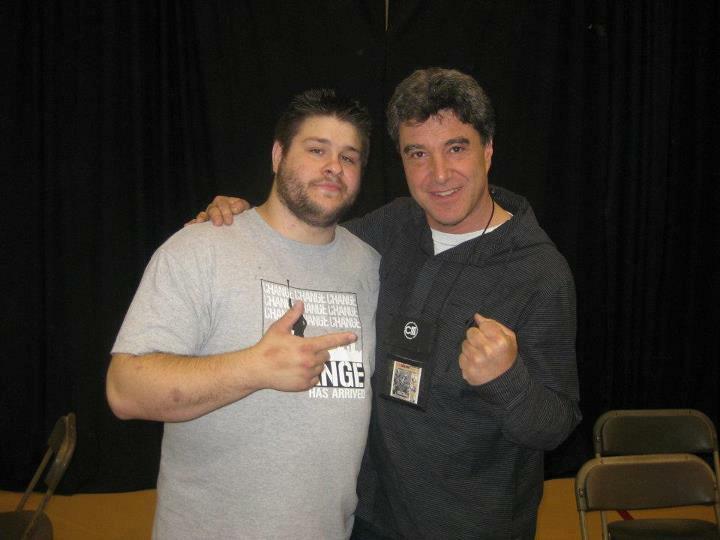 Will you book Kevin Steen vs. El Generico in a FIGHT WITHOUT HONOR MATCH? Get psyched, it’s coming soon! Tom Talks About Black Death 2128! Here’s the next in our series of videos where Tom talks about a new Champions of the Galaxy release. This time it’s BLACK DEATH 2128 and Tom shares his insights about creating the new game as well as sharing previously unreleased card art by Darryl Banks! This interview has a personal feel as Tom is filmed on the back deck of his home on a nice summer day. The video was produced by Paul Schermerhorn and Don Hill. Enjoy and get pysched—BLACK DEATH 2129 is coming in July!